The stylish GLINT apartment complex combines the charm of the Wilhelmine era with modern comforts. Would you like sales particulars with key data, floor plans and photographs? Or are you simply interested in the history and architecture of this unique collection? If so, write to us, call us or visit our Apartment Store in person – we are happy to assist! Our elegant Apartment Store is located on the ground floor of GLINT’s historic corner building. Here, you will get a first taste of the revived historic Wilhelmine era building ensemble in Berlin-Mitte. You can enjoy sophisticated receptions, art discussions and private viewings. You will receive expert consultations, showing you the great range of benefits GLINT apartments offer. Hesitate no more – schedule an appointment for a consultation with us today! You are also welcome to make an appointment outside of the opening hours. 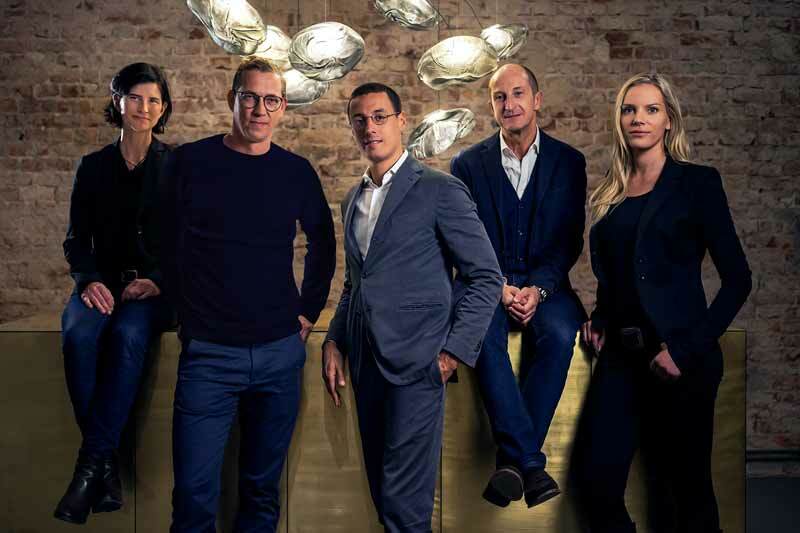 Great projects need strong partners, such as Basis AG Immobilienberatung: As a point of contact for first-class real estate solutions, the real estate consultancy exclusively handles the sales for GLINT Berlin. 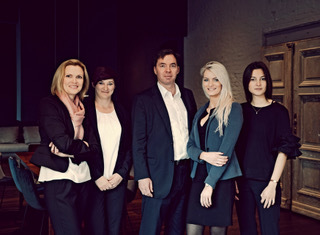 The dedicated multilingual team of experts in our Apartment Store is happy to help you with any questions you may have. Whether you want to view GLINT in person or buy one of our extraordinary Berlin-Mitte apartments – Basis AG Immobilienberatung guarantee competent and knowledgeable support. Before and after the sale. It took over 10 years – from the first viewing to acquisition – until we were finally able to get to work on reviving this well-kept beauty. Of course, this is one of our main specialties: The careful refurbishment of existing structures and monuments with visionary design.